If you’ve been thinking of leasing a 2019 Kia Soul, the time is now! 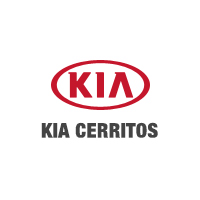 Kia Cerritos is offering Kia Soul leases for families in Southgate, Carson, and throughout Orange County. Want to take advantage of one of the offers shown below? Simply hit “Check Availability,” and provide your contact information to see if we’re offering your chosen Kia. Garden Grove drivers can contact us with any questions about our new Kia Soul lease specials, or take a few moments to get pre-approved online for a Kia lease. Why Take Advantage of Our Kia Soul Lease Offers? Edmunds calls the Kia Soul “more appealing than its newfound competitors.” The Kia Soul is offered in three trims: Base, Plus (+), and Exclaim (!). The base-level Soul comes standard with a 1.6L 4-cylinder engine, a 6-speed manual transmission (automatic is optional), split-folding rear seats, Uvo infotainment system, and Apple CarPlay and Android Auto. Want to get behind the wheel of a new Kia? Los Angeles drivers can schedule a test drive online!